Travelling to Japan in June? If you've made a booking with Airbnb, you may have to find alternative accommodation. The online home-sharing giant has had to cancel thousands of reservations after Japan's government put in place a new law around home-sharing. The law regulates Airbnb's most popular destination market in the Asia Pacific region. Airbnb said changes to the guidance around its implementation meant reservations would now be affected. Under the new law, hosts are required to register their listing and display their licence number by 15 June to remain active. But the Japanese government said on 1 June that any host without a licence number had to cancel upcoming reservations that were booked before 15 June. 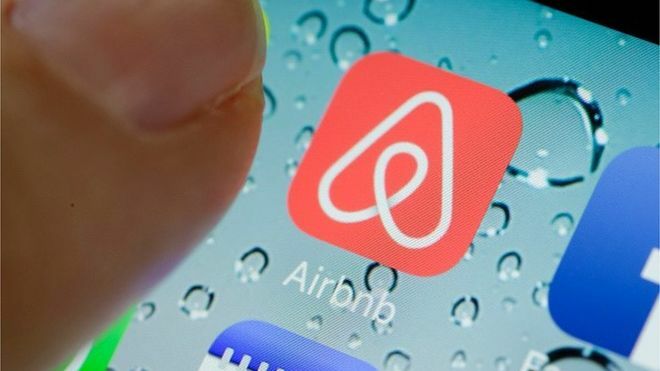 Airbnb said it would therefore cancel any reservation made by a guest arriving between 15 June and 19 June at a listing in Japan that does not currently have a licence. "We know this stinks - and that's an understatement," Airbnb said. "Japan is an incredible country to visit and we want to help our guests deal with this extraordinary disruption." Airbnb also said it had set up a $10m fund to help those incurring any additional expenses related to having to make alternative travel plans because of cancellations.